Riding on an unlit path at night, the Rover put out enough light to see obstacles ahead, but for serious nighttime mountain biking you'll want something with more output. For riding on city streets the medium setting was more than enough to pick out potholes and avoid patches of gravel leftover from the most recent snow storm. The one major frustration – and indeed, my only significant complaint about the Lars Rover – is the complete lack of side visibility. Most bike-car collisions occur at intersections, so side visibility is crucially important for a light. 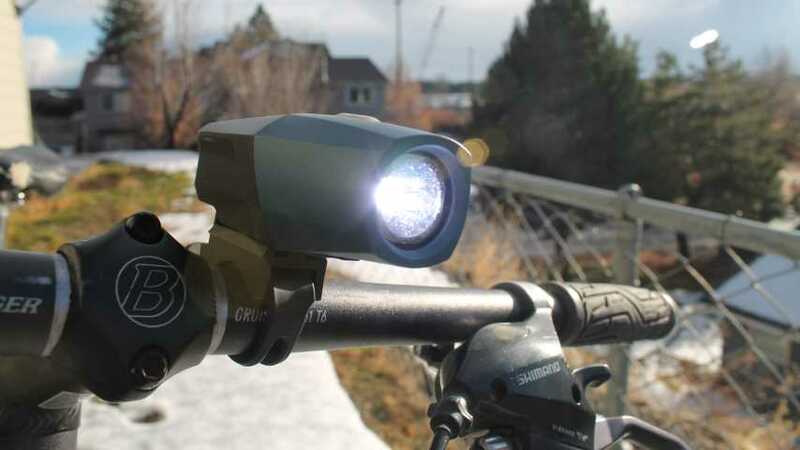 Most bike headlights have at least a cut in the side to allow some light to spill out the sides; others go as far as having dedicated yellow side LEDs. The Rover has neither, restricting visibility to viewers in front of the bike. 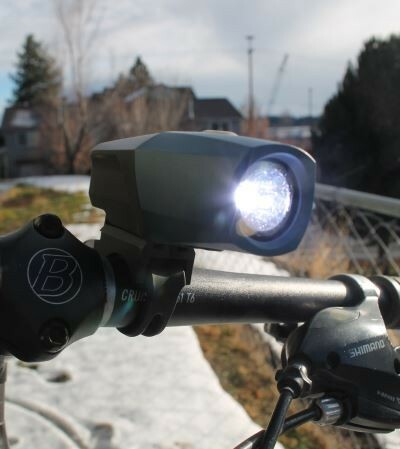 This is excusable for mountain bike lights, but for a light that targets the commuter and road biker markets, it seems like a major omission. The Rover also comes with two excellent flash pattern options. The first is a slow pulsing mode that isn't distracting but is still noticeable. The light cycles between nearly-off and the low setting (120 lumens), with each cycle lasting about 1 second. The pulse turns on a bit faster than it turns off, which grabs your eye. This is the perfect flash pattern for use at night, as it quickly grabs your attention but doesn't overstimulate your vision or distract drivers. The second flash pattern is the polar opposite: a crazy, fast strobing pattern. I would only use this pattern in daylight, as it's distracting to both the rider and anybody around you at night. In bright sunlight though, this flash pattern is very effective at grabbing attention. 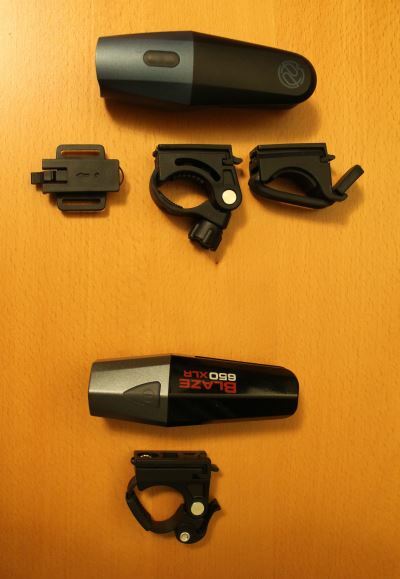 PDW has done a great job by offering two different flash patterns for use in different conditions. It's up to the rider though to use those patterns effectively and considerately. Like most single-piece lights, the Lars Rover features an integrated lithium battery, and is recharged via the included USB cable. Oddly, PDW has chosen to use a mini-USB cable rather than the more ubiquitous micro-USB cable. Most cellphones and many tablets connect via micro-USB; few devices produced in 2014 use mini-USB connectors. It's still much more convenient than a proprietary charging connector, but you're less likely to be able to just borrow a friend's phone charger if you need to top off your battery. On the highest setting, the Rover's output decreased to 10% of its initial output in 2:15 hours in our rundown test, exceeding the specified battery life of 2 hours. The output is not very well regulated; within an hour the beam distance had dropped from 128 meters to 108 meters. The light didn't completely die until just over 4 hours had passed though, and the low battery indicator came on before reaching the 2:15 hour mark. This means that while you won't have the Rover's full power, you'll probably have enough juice to make it home if your battery starts to get low. Portland Design Works has joined the increasing number of light manufacturers certifying their products to the FL1 Standard. 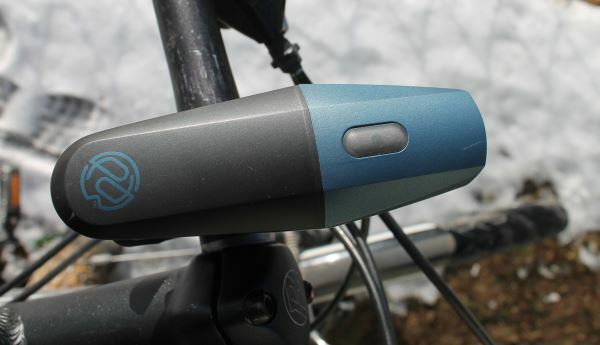 The FL1 Standard defines consistent and repeatable measurement methods and marketing guidelines for bike light specifications such as lumens, battery life, weather resistance, and impact resistance. The Rover's lumen output and battery runtime are both certified with an integrating sphere, meaning you can be certain that you're getting the full output that's advertised. Our battery test (which also follows the FL1 standard) shows a battery life slightly exceeding Portland Design Works' published battery life claims. The Rover comes with three excellent mounts that should have you covered for nearly any situation. The light uses the same mechanism to slide and lock into all three mounts. It's also the same mounting plate used on Planet Bike headlight mounts (bottom of picture), although the PDW mounts are more sturdy and easier to use. My favorite is the silicone strap mount (center), which can wrap around most handlebars and is quick and easy to install and remove. This makes it easy to move the light between multiple bikes, or take it with you when locking up in a public place. There's also a more traditional mount that clamps onto the handlebars (right), and a helmet mount is included as well (left). The helmet mount sits flat on the helmet and attaches via velcro, so the angle of the light is determined by where it's mounted on the helmet. The angle of the light can be adjusted on some other helmet mounts, but those types of mounts typically result in the light being perched much higher on the helmet. This flat design makes it less likely to catch the light on a low-hanging branch. The light is easy to use. The button isn't as tactile as some other lights, but is still easy enough to use even with gloved hands. To turn on the light, you must press and hold the power button for 1 second. This helps prevent accidental activation in a backpack, pocket, or pannier. There isn't a button lock-out mode available, but the long press to turn the light on is a suitable alternative. One noticeable usability problem is the weight distribution of the light. The mounting point is near the rear of the light and the light is heavier towards the front. This gives the light a tendency to droop downwards when jostling over rough terrain, cobblestone streets, or potholes. With the clamp mount this isn't too much of an issue – it's easy to just tighten down enough to keep the light stationary. With the rubber strap mount it can be a problem, especially if your handlebars are on the skinny side. The Lars Rover is a strong first foray into high-powered headlights from a company known for high-quality and stylish lights. It brings versatile flash patterns, a good beam shape, typical battery life for single-piece lights, and excellent mounting options together in a light that's tested to the FL1 industry standard. The lack of side visibility is a non-trivial concern for urban riders, but that won't be a problem if paired with a secondary be-seen light. While visually very similar to Planet Bike's new Blaze XLR lights (review coming soon! ), the Lars Rover comes with more varied and sturdier mounts. The Blaze XLR lights do have a slightly longer runtime, with the XLR 650 clocking in at 2:25 hours, versus the Rover's 2:15; however, both lights continued running after reaching the official battery runtime cutoff of 10% of initial output. 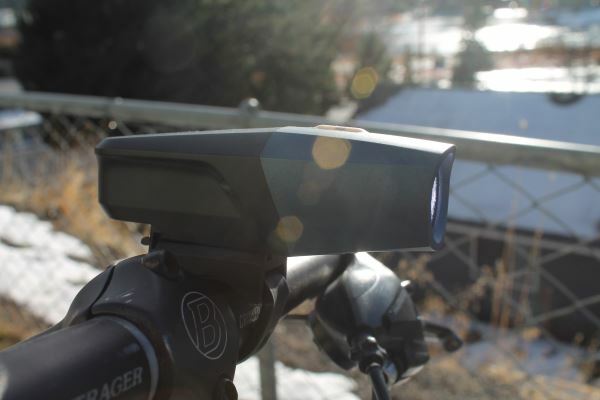 Check out the Bike Light Database's headlight recommendations for frequently updated top picks.